ChargeIt by Jay Round Edge Silver Glass Charger Plate 12-3/4"
Home > Products > ChargeIt by Jay Round Edge Silver Glass Charger Plate 12-3/4"
Provide your guests with an elegant dining experience by presenting multi-course meals on top of the ChargeIt by Jay Round Edge Silver Glass Charger Plate 12.5". Beautifully designed with a dazzling kaleidoscope pattern, this charger plate adds a sophisticated and elegant touch to any upscale reception. 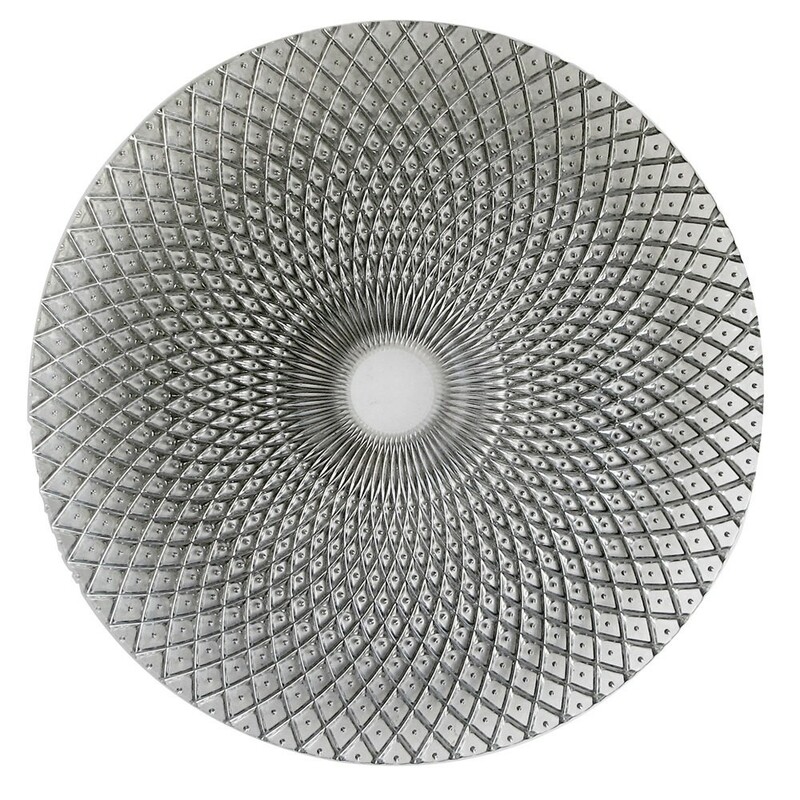 The perfect harmony of aesthetics and form, this eye-catching glass charger plate looks delicate while being exceptionally durable. Designed to accommodate any size plate, this charger plate also provides maximum protection against spills and mess.